I’ve received e-letters about how to draw the line between right and wrong concerning crystal usage. The truth is, if God wants you to learn this healing art, He will provide the knowledge, wisdom, and understanding for you to do so. So chill-out. Besides, there are countless ways to incorporate crystals into your life; it’s really a personal experience and your particular preference. And sometimes I think, well, how do you use concentrated herbs, food, healing clays, and other creations in the right way? They’re all energetic, vibrational medicine when you get down to the nitty-gritty. I see everything as being connected. I also use crystals in very practical ways. I do not experiment or do a method if the Holy Spirit does not give me complete clarity. I know these creations are widely used in ways they should not be, which can be confusing. But not too long ago, Christians thought herbalism and science was wrong for some of the same reasons. We know that our Creator can teach us how to use His creation–first hand; all we have to do is ask him (Matthew 7:7). He might answer while you are praying, studying your Bible, or one day when you are reflecting on creation. This is how I learn(ed) some of the things I know. God is the one that told me his creation was healing. I actually scoffed at the idea of crystals being healing years ago; he can also reveal imbalances and issues within your soul and physical body. Of course, some people have a Gift or talent of various healing abilities, and God does talk through and use people. When filtering through worldly teachings and classes, you need Spiritual discernment. I allow the Holy Spirit and the Bible to guide me here. Modern science and ancient wisdom can contain nuggets of truth wrapped in thorny branches. Just pray, compare it with your Bible, and filter the information. Allow the Holy Spirit to reveal what is helpful and what does not serve you–though learning is a process. You will always be a student. If you get impatient and just do whatever, you might end up using creation and crystals in the wrong way, succumbing to your flesh. 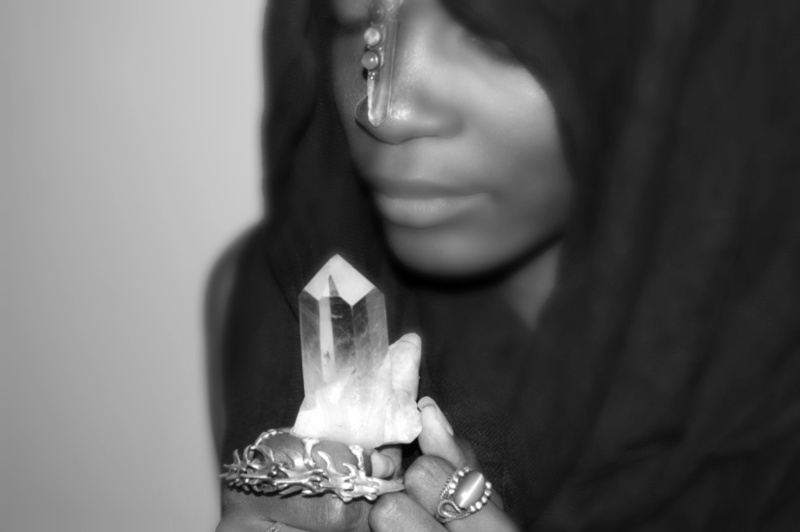 The following are a few crystal practices I do not take part in. Some of these practices I have mentioned in other posts, but now they are in a neat little list. Some people who practice crystal healing use stones to attract wealth, love, prosperity, success, happiness, etc. Many use grids based on sacred geometry to amplify the energy of the desired stone charged by intention, and they send this into the universe. Now, the geometric layout can be used to amplify the healing nature of a crystal. This can be useful for healing work (crystals are geometrically designed & we are too); it can also be helpful for purifying the environment in a living or work space. We can see this Divine geometric pattern throughout creation. Many natural processes that drive growth follow rules that can be explained by geometry. (Your home should even be designed with sacred geometry as this will help keep the energy balanced; it should never get too hot or too cold). But I do not use crystals and geometry to attract money, happiness, etc. When you use crystals for this purpose, you have crossed that fine line and are allowing something else to rule your life, giving power to creation instead of God. Some also use crystals (with the grid sometimes) to help them find out what they should do with their lives, like if they should start a new business, move to a new state, marry someone, or even go to a certain event. Combined with deep meditation, this helps one reach his higher self as this part of you knows what is best. Well, we are all born with natural intuition, but we should not let that lead our lives. The Being in Christians that knows what is best for our lives is the God in us. We don’t follow ourselves as we are not naturally concerned with Godly things. Christians get direction and life guidance from the Holy Spirit. We maintain a strong connection with a healthy Spiritual life, which includes prayer, Biblical meditation, worship & praise. We ask God if a particular business endeavor is right, if we should serve in this ministry or another, and just about life in general. He guides our steps and path. The Bible tells us that His plans are to prosper us, and he will help us fulfill God-Given dreams and plans for the building up of his kingdom (Jeremiah 29:11). When I’m dealing with soul issues that I need to surrender to God, I strive to not allow stones and other things to become a crutch for me. I simply bare my soul and commune with my Creator, and the Holy Spirit ushers in healing. Well, all healing is God’s business; you should look to Him for all your maladies, but especially if your soul is burdened from life situations. The medicine for these types of issues is already within us. A crystal, herb, person, or food can bring temporary relief but could bandage the wound within that we should allow the Holy Spirit to heal. For example, you might be sad because of a traumatizing event or certain circumstances in your life. You could also be sad because the devil or his minions are attacking you with this feeling. In the instances just mentioned, we should not just use medicine to bandage the issue. Sadness could also stem from some type of energy imbalance, and the connecting medicine can be used. (There are actually many reasons why one might feel like this). Just keep in mind that soul issues need to be dealt with as they could manifest in the body. Some also use crystals or gemstones, like onyx, to ward off evil spirits. People feel like an evil entity is bothering or attacking them in some way, and they try to use stones to keep them away. Some believe the crystal or gemstone worked, but this is a trick. According to God, the only thing that can help you here is the blood of Jesus Christ. Jesus gives us power over the enemy (Luke 10:19). The Word of God is your sword; you need the full armor of God to extinguish the darts of the evil one (Ephesians 6: 10-18). So we can see that the battle with evil spirits is spiritual, so we should not use creation to ward of these things. People who use crystals to contact those who have moved on usually do this with a grid, through meditation, a ceremony or ritual. The people might be seeking wisdom, just want talk to the people because they miss them, or want to resolve unfinished business. God tells us not to partake in this type of practice, which is spoken of throughout the Bible. (Leviticus 19:31) (Deuteronomy 18: 10-13) (Galatians 5:19-20) (Acts 19:19) In 1 Samuel 28 we see that King Saul angered God when he sought to conjure up Samuel with the help of a witch. God wants us to seek counsel from him (Isaiah 8:19). Now, these are just a few practices; there are many more that I do not do. You can find practices I do take part in throughout the website like here and here, in case you care. Reflections / Journal Prompt: What has God revealed to you about using crystals? Did he show you that you were using crystals in a way that was not honoring him? Have you repented and stopped? God, allow us to reflect on these symbols and see a deeper, Spiritual meaning. Please teach us first hand how to use these gifts so that we honor you. And help us filter through worldly knowledge so that we are not deceived.